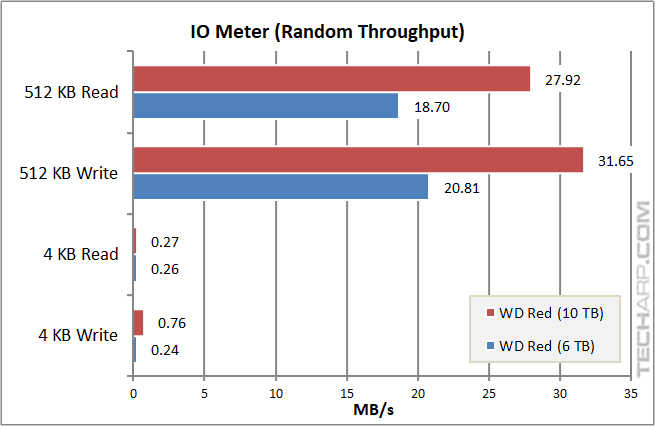 We compared the 10TB WD Red (WD100EFAX) NAS drive to the 6TB WD Red. For more performance comparisons, please take a look at The Hard Disk Drive Performance Comparison Guide. The small random reads and writes are the most important tests for applications that make a lot of random accesses, so those would be key performance indicators for drives that are used as boot or system drives, but not very important for NAS systems. 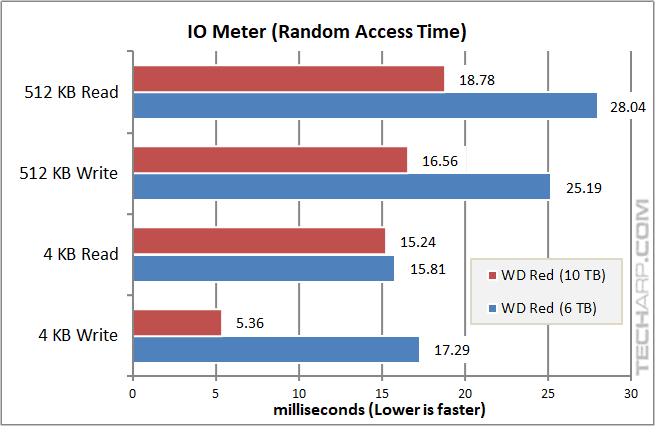 With the exception of small reads, the 10TB WD Red (WD100EFAX) was far superior than the 6TB WD Red in all other aspects. Most impressively, it was 3X faster at small writes, most likely due to its large, fast cache. The access times dropped significantly across the board. The small decrease in the 4KB read access time is more than compensated by the incredibly large decrease in the 4KB write access time. 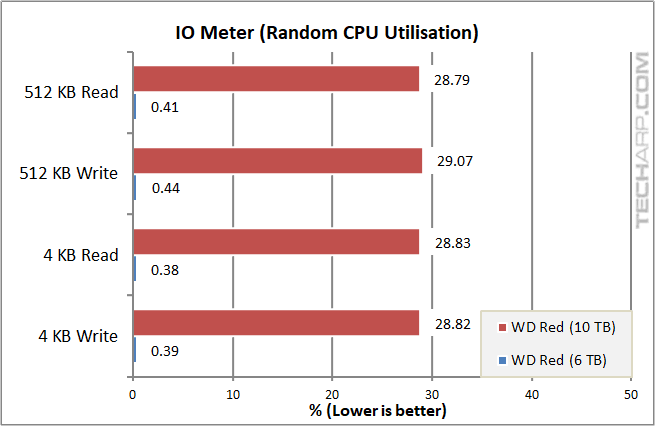 We are not sure what HDD controller Western Digital used for the 10TB WD Red (WD100EFAX) NAS drive, but they appeared to have decided to focus on performance at the expense of CPU utilisation. This is not a problem for NAS systems because they have a processor that is dedicated to such operations. Such high CPU utilisation though means the 10TB WD Red (WD100EFAX) would not make for a very good desktop drive.